John Gillett has worked for more than thirty years as an actor, director and teacher. He trained as an actor at the Actors Workshop (1969-1971), London's first Stanislavski-based studio, having gained a BA at Aston University in Birmingham. In theatre his work has ranged from repertory to young people's theatre, touring 2000 seat venues to a tent at Rotherham Miners' Gala, from fringe to the West End and London Theatres including the Royal Court and Young Vic. His performances encompass the major Shakespearian roles of Angelo in Measure for Measure at the Young Vic and Edmund in Anthony Quayle's King Lear and modern classics such as Lopakhin in The Cherry Orchard and Aston in The Caretaker. He has also excelled in contemporary roles such as the chilling, racist murderer, Ed Bliss, in The Gate Theatre's The Stick Wife and as the politically and sexually compromised Yorkshire Labour MP, Jim, in All Manner of Means at the BAC. He has worked with directors including Danny Boyle, David Thacker, Nancy Diuguid, Alan Ayckbourn, Don Taylor and Mike Alfreds. 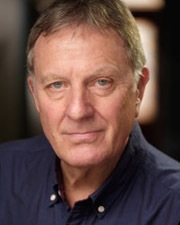 John has worked also in many radio productions including A Question of Retreat, a two-hander with Denholm Elliott. His many television appearances include series such as Bergerac, serials such as Resort to Murder with Ben Chaplin, film and single plays and as the ill-fated councillor Clive Dixon in East Enders. He has performed in many corporate videos, voice-overs, commercials and presentations. John's work has been valued by audiences, reviewers and colleagues alike and demonstrates a strong commitment to truth and integrity in performance, transformation and extensive and detailed research - qualities he also encourages in those he teaches and directs. As a director and teacher, John has been involved with numerous drama schools and theatre organisations such as the Actors' Centre, Re:Actors Theatre Group, for which he was the Artistic Director, and from 2000 - 2003 East 15 Acting School where he was Head of the Post Graduate Acting Course, directing many productions including Miller's Death of A Salesman, Gorky's Summerfolk, Ariel Dorfman's Widows and Greg Cullen's Frida and Diego. 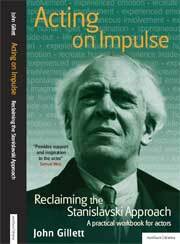 In 2007, John published ACTING ON IMPULSE: Reclaiming the Stanislavski Approach, a practical workbook for actors (Methuen Drama) which was the culmination of his work as actor/director/teacher during the last four decades. It is an essential acting book for practitioners, teachers, students studying drama in schools and colleges, and acting students at drama school and is on the reading lists of numerous drama schools. 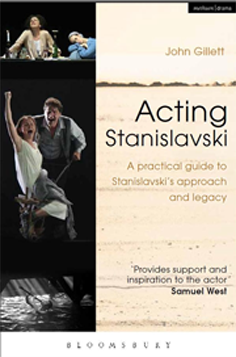 In 2013, John wrote the preface for the new Bloomsbury Revelations edition of Stanislavski's Creating a Role. He has also made contributions to three editions of the Stanislavski Studies journal, jointly edited by The Stanislavski Centre at Rose Bruford College and the St Petersburg Russian State Institute of Performing Arts and published by Routledge: Experiencing or pretending—are we getting to the core of Stanislavski's approach? 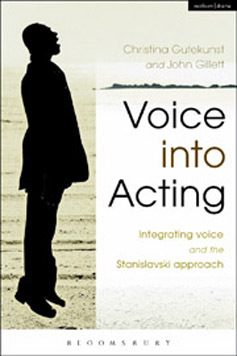 (Issue 1, 2012); a panel discussion contribution recorded in Stanislavski on Stage: The Benedetti Legacy (Vol 3/Issue 2, 2014); and Experiencing through the voice in Stanislavski's psycho-physical approach (Vol 4/Issue 2, 2016). Please click here to contact John directly.